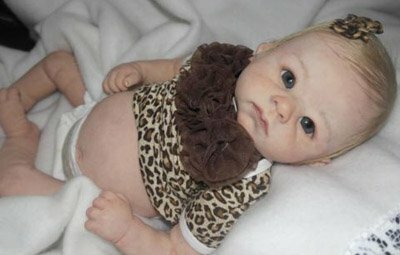 Reborn Dolls keep making the news and one of the biggest stories is about Wendy Archer. This is the UK mum who has spent thousands of pounds to acquire four of these dolls, and to provide appropriate accessories for them. Her story has been used to feed the controversy behind the dolls, but it may really be the one story that should make you smile and love them even more – or at least let people buy them in peace. How mad is baby mad? What would you say about a woman who gave birth to four healthy children, and then wanted more? We generally don’t call them baby mad, but we generally fault them on a lot of things – irresponsibility and shortsightedness being the main items. When she decided she wanted more than the four she already had born, she faced the problem of the sterilization she had undergone previously. Rather than try to reverse the process or find funding to engage a surrogate mother, Wendy found Reborn Dolls. To date, she has spent almost £2000 on her new “babies”. That’s not madness or irresponsibility. That is a very sane and safe reaction to a desire. She has spent over two thousand pounds on her Reborn Dolls, but she only has four. The base price for the dolls comes nowhere near her total, but Wendy also bought cribs, travel seats and other accessories typical for newborn care. She did use her savings, but is also now working in a doll shop to pay off her bill. Wendy is a homemaker who has never held a job. After the birth of her last child, she elected to have sterilization done, but later regretted it when the urge to be around babies came on strong. The Reborn Dolls offered her an outlet for her desire for children without having to have any more. They also may be adding something to her life that is going to take her to new places. Yes, she spent her savings on the dolls and then is working off other payments for them – but she has spent her money on a type of lifestyle that tends to help people grow. This isn’t a woman who spent thousands of pounds on a doll she lets sit on a shelf. Wendy’s husband has fully supported her “doll habit.” That’s a term that gets thrown around when talking about Archer. She isn’t blindly collecting the dolls. She has four. She would like to have more but is not sure when that can happen. With the dolls, the need to care and nurture is satisfied in her. She still cares and nurtures her four children, and activities with the dolls have become a part of how they stay together as her kids move into their teen years. Other Reborn Doll fans have been upfront about the fact that holding the dolls, and interacting with them helps to reduce stress. They relate the dolls to times when they had a newborn, and some find it soothing even if they haven’t had children. Using dolls to relieve stress isn’t a new idea, the medical community has used them for that purpose for a long time. Dolls are very common on dementia wards as it is known that the human body responds to holding a “child” by releasing stress fighting hormones. The other aspect of Wendy Archer’s life that the dolls are taking over is her day. That is one of the best things that is happening. She has a regime she follows with them that is very similar to taking care of a small child. It is allowing structure to be maintained in a life where it may have gone missing. Many mothers have a hard time adjusting once their babies grow and become independent. The sense of loneliness and purposelessness can lead to depression. The Reborn Dolls help to make that transition easier. In closing – they’re cute, and there are worse hobbies to have. Reborn Dolls for sale are crafted to be unique recreations of newborns. The detail put into each doll is astonishing and learning how to make reborn dolls can be a lot of fun.. They are cute, adorable, and you can cuddle with them without worrying about their breaking. When it comes to hobbies, one man’s prize is another man’s bane. 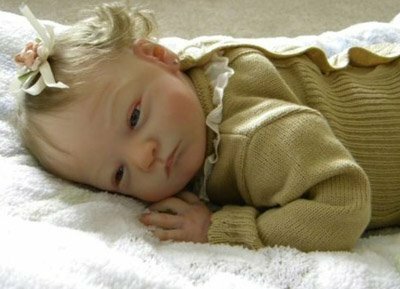 These Reborn Dolls are a simply wonderful hobby to have. 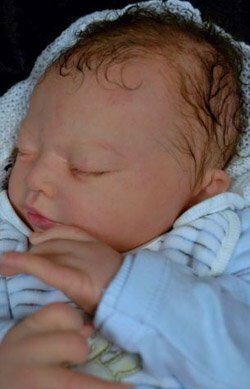 You don’t have to go as far as Wendy Archer, but you just might be surprised what a Reborn Doll could do for your life.